Perhaps you’ve got some challenges or deadlines that call for imaginative solutions, but you’re feeling blocked. Or maybe you’re at one of life’s crossroads and need to search your soul for answers. Now you can do what great thinkers and spiritual masters do to get answers and insights: Go within, enter the mysterious Theta state and discover the vast storehouse of knowledge available to you. Theta is the gateway to the subconscious and superconscious mind. In Deep Insight, Theta binaural beats allow you to access wisdom that lies beyond the borders of normal awareness. 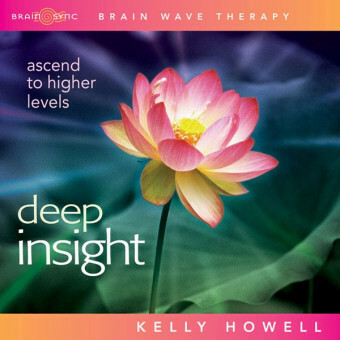 Through brainwave entrainment meditation music embedded with Theta waves, you enter this waking dream-like state that stimulates deeper connections between brain cells and allows you to access higher levels of creativity. In Theta, new ideas and insights spontaneously flash before your mind’s eye, in what is known as a “Eureka Event.” At the end of your inward journey, you’ll feel clear, lucid and revitalized at the deepest levels.